What is Apple's next big step with TV? While Apple is busy promoting the newest iteration of its Apple TV box, many followers of the company are peering into the future, wondering what the technology giant will do next with television. 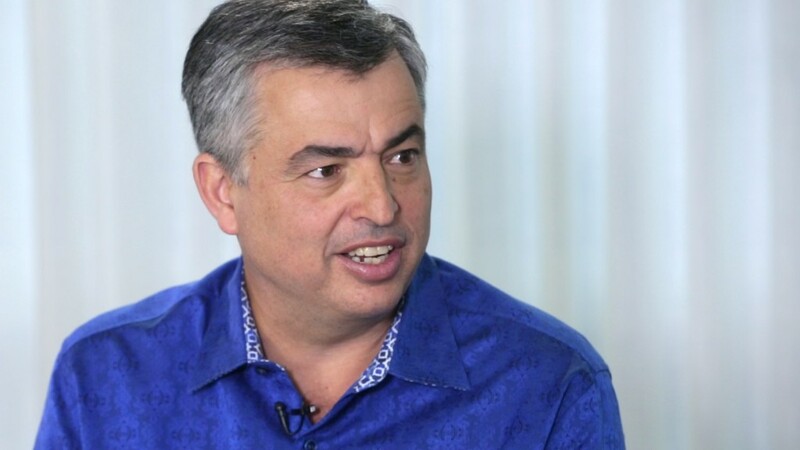 In a recent interview I quizzed Apple senior vice president Eddy Cue about this and read between the lines of his answers. First I brought up the cable TV status quo. Right now "cable" as we know it consists of three parts: a bundle of channels, a set top box that delivers those channels to your TV screen, and an often-derided customer service experience. These parts are sold together, but companies like Apple, Google and Roku are starting to break them apart. Compared with the clunkiness of the set top box, Cue calls Apple TV is a "much better experience for consuming content." For most people, he said, Apple TV is an add-on to cable, since people still need a cable subscription to use apps like ESPN and CNN. But more and more programming is available outside the cable bundle, like HBO, which now offers standalone subscriptions via the Internet. The end goal for Apple, Cue said, is to remove any need for a traditional set top box at all. Maybe the next step is a streaming version of the bundle, with live and on-demand channels, sold by Apple straight to Apple TV and iPhone owners. "Apple is having conversations with everyone about doing their own streaming services," CBS CEO Les Moonves said last month. The idea isn't far-fetched. Apple already sells a monthly music subscription. But the negotiations with the TV networks have been arduous. When I brought up Moonves's comments to Cue, he responded coyly. "The great thing is that Les is actually on Apple TV," he said. He meant CBS's new streaming option, called All Access, which lets people watch on-demand episodes of CBS shows for $6 a month. An Apple TV version of the App Store is one of the main features of the new $150 box. Cue's pitch is that the App Store is enabling different forms of TV to flourish by giving creators and developers a "platform to truly innovate." But what will Apple do itself? There's a lot that Apple could do to disrupt TV. It could offer online storage of TV shows, for example, doing away with the need for a DVR. When I asked Cue about the pain of authentication — having to log in to all these individual channel apps with my cable credentials — he said "those are things that we can always make better." A WME/IMG web video channel about fashion is exclusive to Apple TV for three months this fall, but Cue said the exclusivity was their choice, not Apple's. Regarding the recent news reports that Apple is thinking about financing TV shows itself — a la ABC and Netflix — Cue was evasive. "We love working with our partners," he said. "We're great at technology and they're great at creating content, and we think that's a great partnership to have." So there's not a reason for Apple to create its own signature TV show like "House of Cards?" The company recently established a 24/7 streaming radio channel, after all. Cue responded this way: "I think there's a tremendous amount of great content out there today, and we want to make it easier for customers to have access to it." There may be no better corporate secret-keeper in the world than Apple.